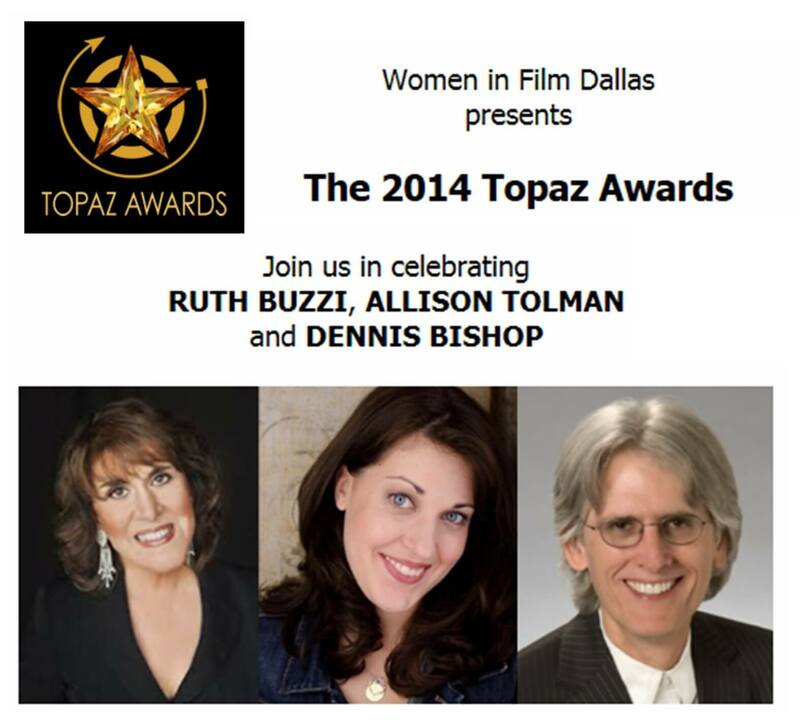 Women in Film Dallas delighted to announce DENNIS BISHOP as 2014 Topaz Gratitude Award Honoree. The Gratitude Award is presented to an outstanding individual who has served as a gracious benefactor and contributed time and effort to television and film presence in the Metroplex and the great state of Texas. Dennis has made giving back to the film community – especially the Texas film community – a priority and this November 22 at WIFD’s Topaz Awards Gala he joins the ranks of previous honorees Larry Hagman, Chuck Norris, and Don Stokes. A native Texan, Dennis’ film career began with corporate videos in the 1970’s to overseeing numerous commercially successful and award winning feature and television productions. He has served as adjunct Professor at USC School of Cinematic Arts, a guest lecturer and mentor at SMU, UTA, the PGA, DGA, and the Academy of Television Arts and Sciences. Dennis is the creator and current Chair of the Associate of Applied Arts Degree Program in Motion Picture Production at KD Conservatory. Allison Tollman, former instructor at KD Conservatory, will also be honored for her Emmy nominated work on Fargo. The Topaz Gala Awards are Saturday, November 22 from 6:30 to 930 p.m. at 7 for Parties in the Dallas Design District. For more information about the Topaz Awards Gala and online registration: Topaz Awards.